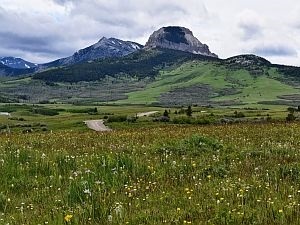 In the summer of 1993, the Blackfeet Tribal Wetlands Program came into existence from a Wetlands Protection Grant from the Environmental Protection Agency (EPA). 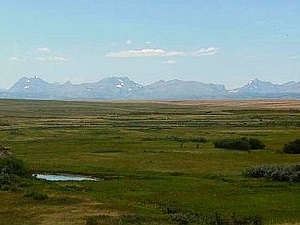 The Wetlands Program was started to protect the multitude of valuable wetland resources on the Blackfeet Indian Reservation. When the program started, there were many impacts occurring to Reservation wetlands and the Tribe wanted a program that would assess the impacts to Reservation wetlands and would work to reduce those impacts. 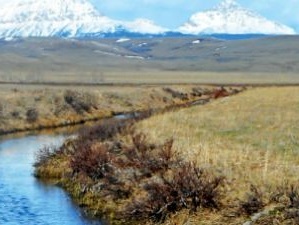 Blackfeet Wetlands has continued to operate through yearly grants provided by the EPA’s Wetlands Protection Program. The grants are project-specific and are intended to build wetland program capacity for the Tribe. The Wetlands Program completed an inventory and assessment of the wetland resources on the Reservation in 1999. A representative sample of wetlands was selected for sampling in the four major watersheds of the Reservation and this data is stored in the Wetlands Program office. The water quality and sample location data has been stored in Excel spreadsheets for entry into STORET, a database that is maintained by the Environmental Protection Agency for water quality data. Currently, data is being analyzed with the final results and conclusions being submitted to the EPA in a final report and will be incorporated into the Wetland Conservation Strategy (WCS). 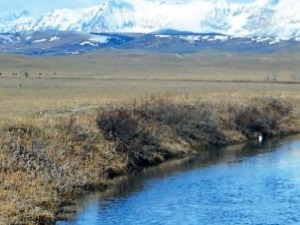 The Blackfeet’s Wetlands Program has developed a draft of the Wetlands Conservation Strategy and held public meetings in Seville, Starr School, East Glacier, Browning, Heart Butte and Babb during the summer of 2000 to gather comments on this document. The public comments will be incorporated into the Wetlands Conservation Strategy.